(January 21, 2019, Toronto, ON) When the Sundance Film Festival kicks off its 2019 edition this Thursday, what shows up on screen will be the result of a lot of work in the months leading up to this year’s festival. People working on what gets screened and what doesn’t sifted through some 9,443 submissions this year to find the 112 features, documentaries, and shorts on the final program. The survival rate is frighteningly low so the fact that each year a few Canadian films end up in the program is a testament to how well we create filmed entertainment far north of Park City, Utah. There are five films with Canadian connections at Sundance this year. Two in the World Cinema Documentary Competition, one in the Premieres section, one in the Documentary Premieres section and one in the Sundance Spotlight. Of those few films only one is a fully Canadian production and two are co-productions. The other two will be explained below. The all-Canadian film in the Spotlight program is the award-winning Anthropocene: The Human Epoch. Directed by Jennifer Baichwal, Nicholas de Pencier, Edward Burtynsky. Production on this documentary lasted 3 years, 2 months and 22 days at 43 locations in 20 countries on 6 continents, resulting in 202 hours and 57 minutes of material that took 10 months of editing to complete. This is an International Premiere for the film which, as we said in a review, “should be required viewing to validate your citizenship on Earth.” Anthropocene: The Human Epoch has its first of four screenings on Friday, January 25 at noon. The two films in the World Cinema Documentary Competition include the Israel, Canada, Switzerland co-production Advocate from directors Rachel Leah Jones and Philippe Bellaïche. The film centres on Lea Tsemel, who defends Palestinians: from feminists to fundamentalists, from non-violent demonstrators to armed militants. As a Jewish-Israeli lawyer who has represented political prisoners for nearly 50 years, Tsemel, in her tireless quest for justice, pushes the praxis of a human rights defender to its limits. This is a World Premiere for Advocate. Midnight Traveler will also enjoy its World Premiere. It’s a U.S.A., Qatar, United Kingdom, Canada co-pro from director Hassan Fazili. This is a highly personal look into the life of the director stemming from when the Taliban put a bounty on the Afghan director’s head. 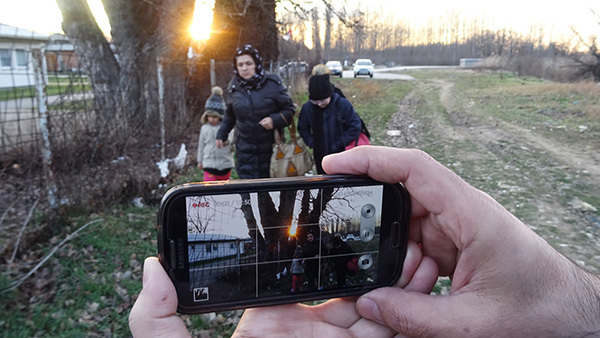 Forced to flee with his wife and two young daughters, Midnight Traveler captures their uncertain journey as Fazili shows firsthand the dangers facing refugees seeking asylum and the love shared between a family on the run. 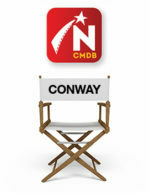 In the Premieres section is the film Late Night. It’s a U.S. film from Vancouver-born director, Nisha Ganatra. In this World Premiere film, a legendary late-night talk show host (Emma Thompson) has her world turned upside down when she hires a female staff writer. The first female staff writer. Designed as an answer to diversity concerns, the decision produces unexpectedly hilarious consequences as the two women separated by culture and generation are united by their love of a biting punchline. The stellar cast includes Mindy Kaling, John Lithgow, Paul Walter Hauser, Reid Scott, Amy Ryan. Finally there’s the U.S. film in the Documentary Premieres section. 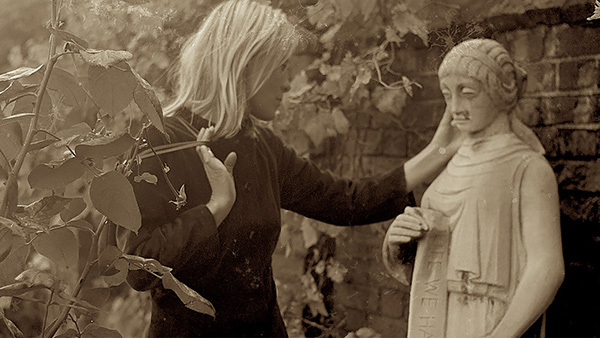 Titled Marianne & Leonard: Words of Love, director Nick Broomfield weaves a story of enduring love between iconic Canadian writer-composer-singer Leonard Cohen and his Norwegian muse Marianne Ihlen. Who doesn’t know all the words to So Long Marianne? The film follows their relationship from the early days in Greece, a time of ‘free love’ and open marriage, to how their love evolved when Leonard became a successful musician. Marianne & Leonard: Words of Love will have its World Premiere at Sundance on Sunday, January 27th, the first of four screenings. The majority of the films at Sundance are shorts. In fact of the 112 films on the schedule, 73 are short films. Of special note, more than half the projects selected for the Shorts, Indie Episodic, and Special Events programs were directed or created by one or more women (53 percent), and directed or created by one or more filmmaker of colour (51 percent); 26 percent of the selections were created by one or more people who identify as LGBTQIA. 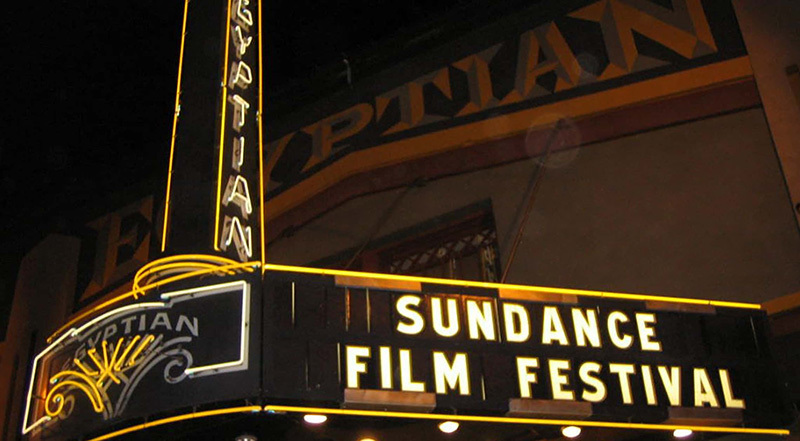 The 2019 edition of the Sundance Film Festival runs from January 24 through February 3 in Park City, Utah.